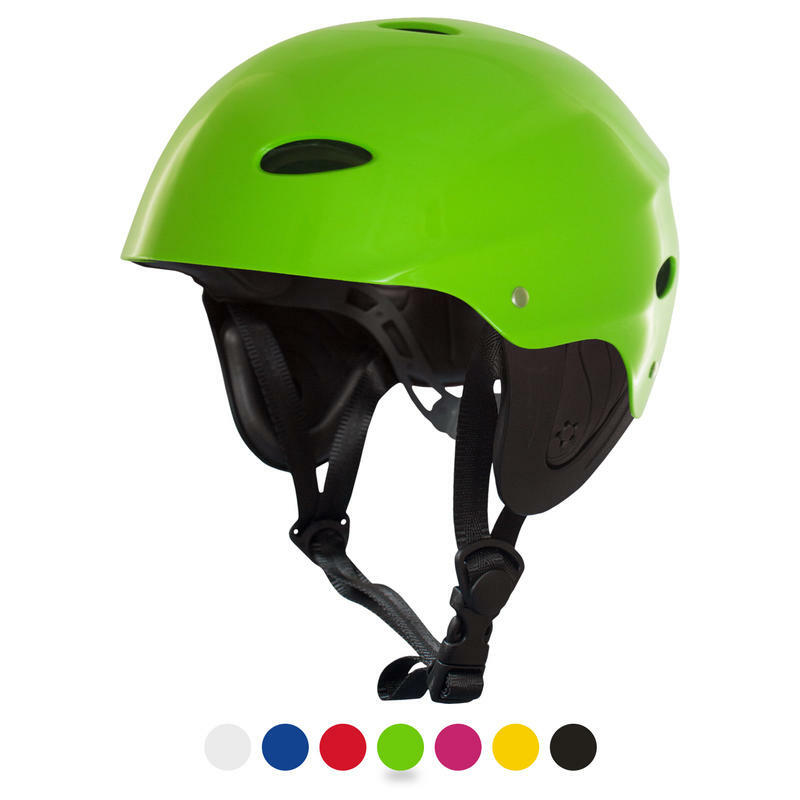 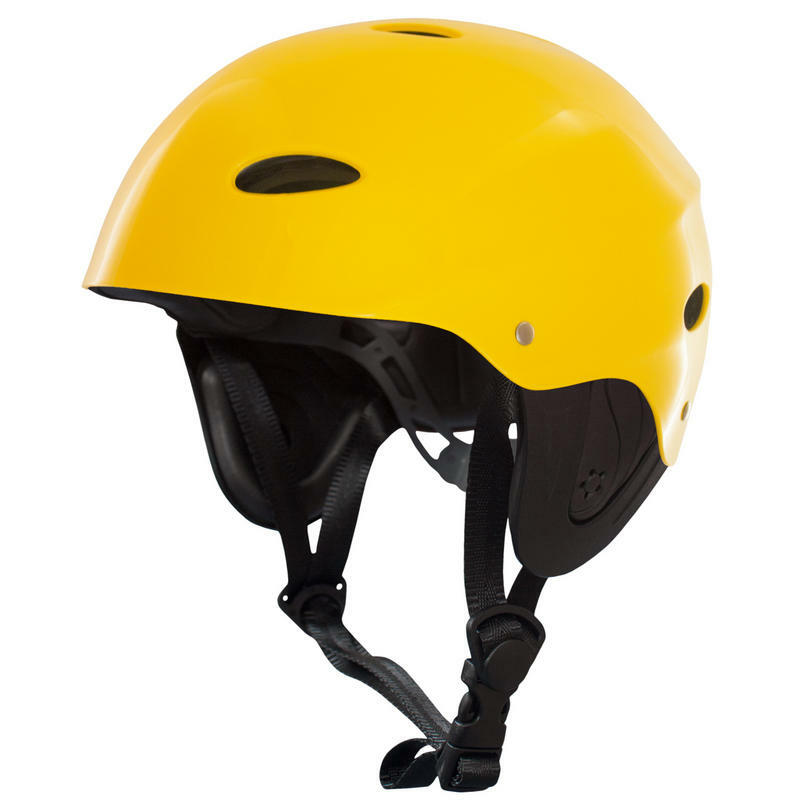 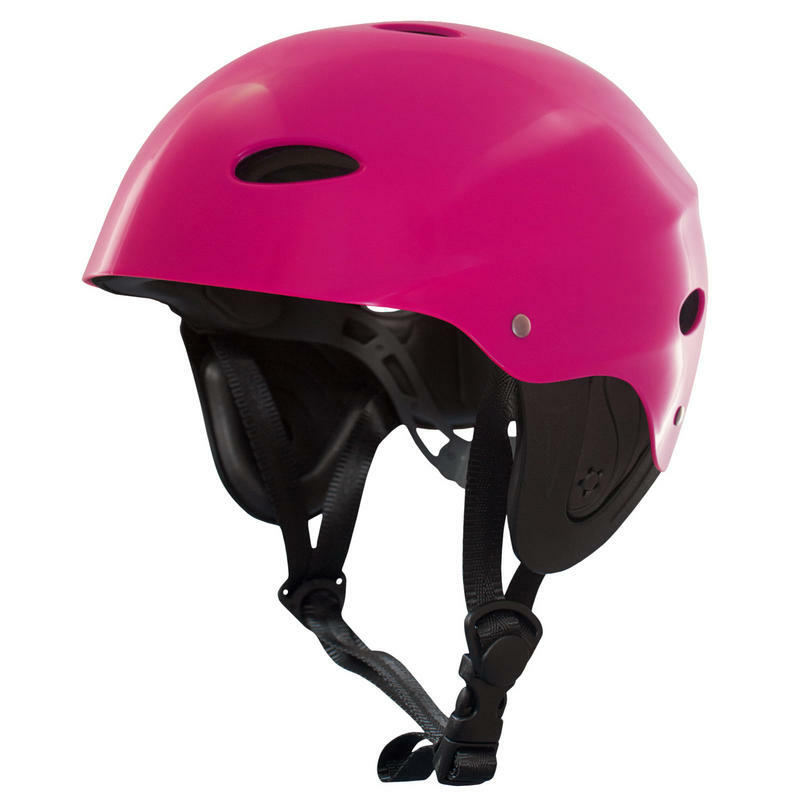 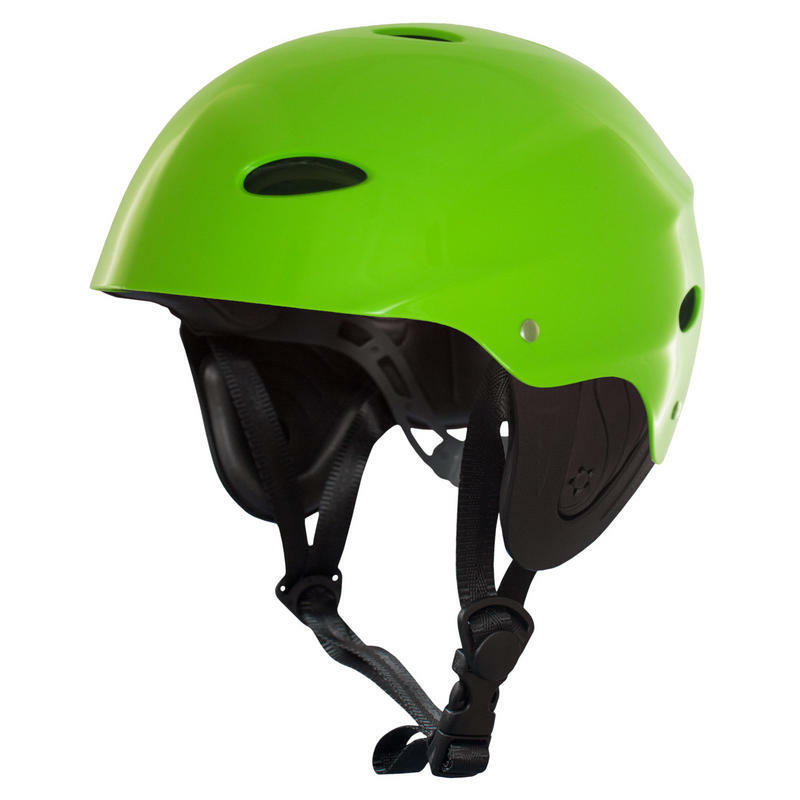 These lightweight, matt, waterproof and durable watersport helmets fully conform to CE Standard EN 1385:2012 Standard. 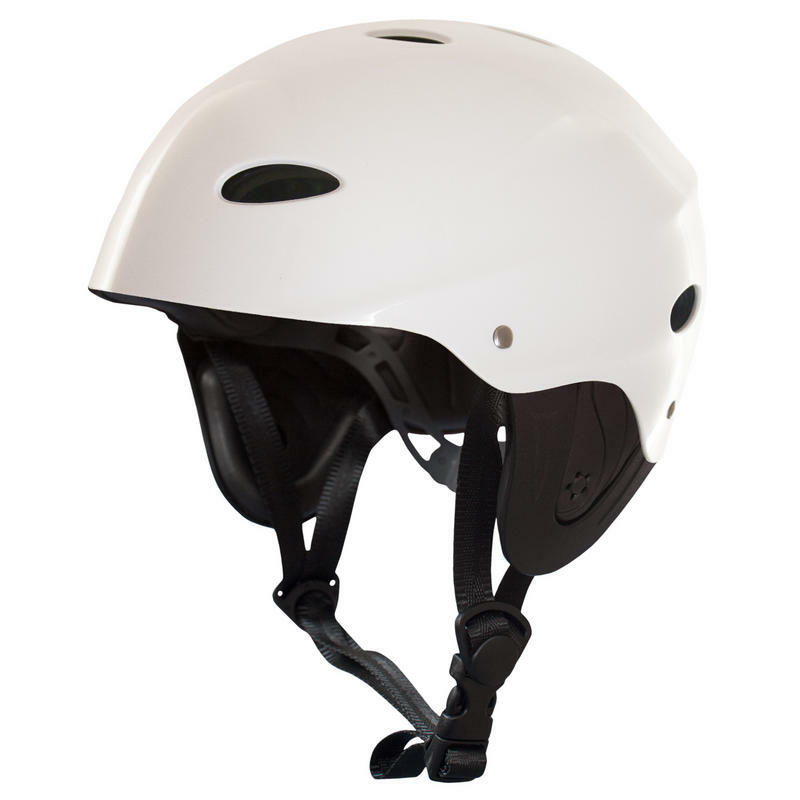 Made from an ABS outer shell with heat pressed EVA impact absorption liner. 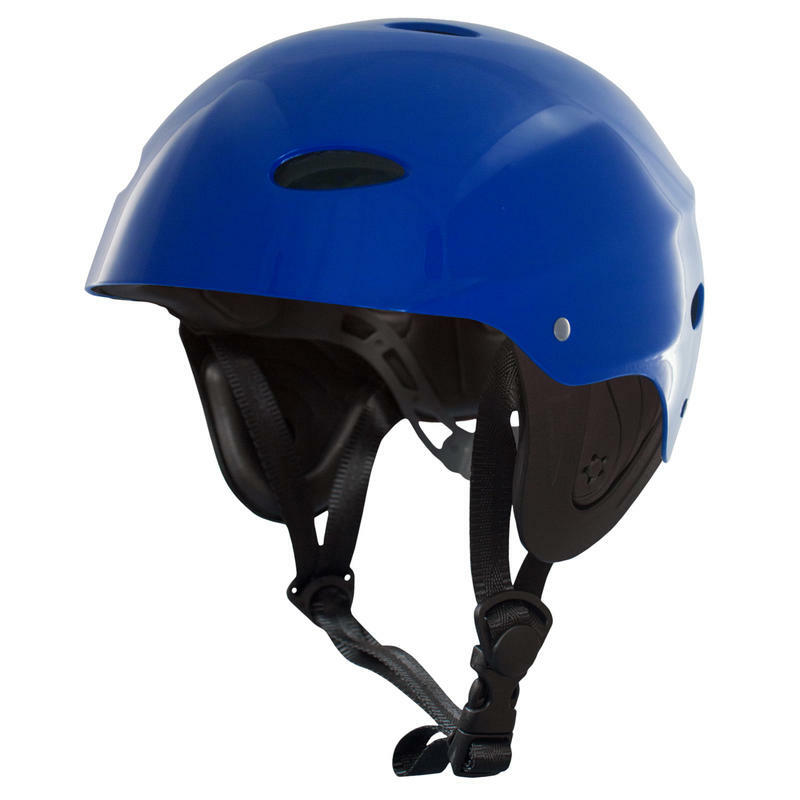 Key features include an easy click fasten/ release buckle on the chin, ear protectors and a waterproof interior. Available in 4 sizes: X-Small 56-57cm Small 57-58cm, Medium 58-59cm or Large 60-61cm. All helmets have a ratchet wheel adjustment to ensure the perfect fit. A good helmet is a must-have accessory in your kayaking kit. 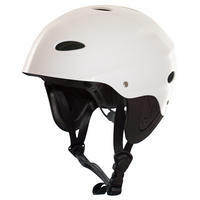 It is particularly important if you are going to play in surf but it is good practice to wear one all the time and very important to provide head protection for children/beginners. Our Kayak helmet is good for all forms of water sports. We sell them for kite boarding, skiing, wake boarding etc.